There is no love loss between these two rival teams. The New York Jets ended the season 11-5, going 3-2 their last 5 games. They squeaked out a victory over the Colts last week by kicking a 32 yard field goal with 3 seconds left, and holding the Colts to their lowest point total in their last six games. I think the incentive to beat the Colts was to have another chance against the Patriots. The Jets play better on the road (7-2), and I think that’s a testament to coach Rex Ryan and the attitude he wants his team to portray. The Jets and Patriots are 1-1 this season, and the home team has won all four meetings since coach Ryan has taken over the Jets. The Patriots had the best record in the NFL this season, going 14-2. They are the favorite to make it to the Superbowl, and have an undefeated record at home (8-0) this season. They come into this game, after a week off, with an eight game win streak in which they have won by an average of almost 22 points. This is the rubber match for these two teams, and now it has even more meaning as the team that loses goes home. The last time these two teams met, the Patriots destroyed the Jets 45-3 at home and Rex Ryan had a ceremonial burial of the game ball. Tom Brady and the Patriots dominated every aspect of the stats except for the running game. The first meeting between these two this season, saw the Jets getting the better of the Patriots, winning at home 28-14. The main difference was the quarterback play. 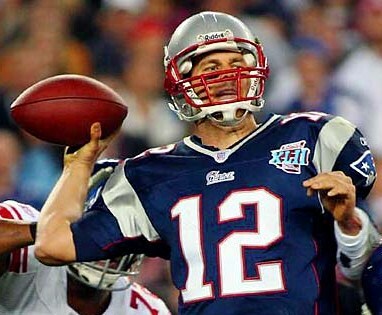 In their loss, QB Tom Brady threw 2 INT’s and fumbled the ball away. 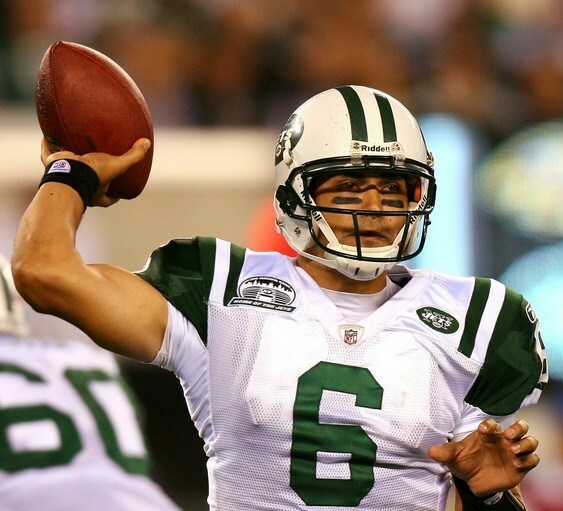 Mark Sanchez had his highest completion rate of his career (70%), threw for a career high 3 TD’s, and did not throw an interception. The Patriots win saw Brady throwing for 326 yards and 4 TD’s with no interceptions. Sanchez didn’t complete 50% of his passes, threw 3 INT’s and 0 TD’s in that game. Mark Sanchez continues to improve in only his 2nd year in the NFL. He threw for 3,291 yards, and turned his 12 TD’s and 20 INT’s his rookie year, into 17 TD’s and 13 INT’s this year. He is reducing the amount of mistakes he is making, and both his completion percentage and quarterback rating have improved. His main targets are Braylon Edwards (53 Rec, 904 Yds) and Santonio Holmes (52 Rec, 746 Yds), while TE Dustin Keller has caught the most passes (55). LaDainian Tomlinson (219 carries, 914 yds) and second year RB Shonn Green (185 carries, 766 yards) carry most of the workload for the Jets, and they were ranked 4th in rushing yards per game for the season. These running backs need to have a good performance to keep the pressure off of Mark Sanchez so he doesn’t feel he has to win the game on his own. Offensive Tackle Damien Woody’s inability to play due to an achilles injury may have a big impact on how effective the running and passing game can be. Rex Ryan is a defensive coach and it shows. The Jets were 3rd in rushing yards allowed and 6th in passing yards allowed this season. It’s a team effort for the Jets defense, with ILB David Harris leading in tackles (90), and Antonio Cromartie leading the defensive backs with 3 INT’s. The Jets defense will have to kep the game close and low scoring if they are to have a chance at winning. The Patriots are the top scoring team in the league (32.4 points per game). Tom Brady is having another hall-of-fame season, and has thrown for an NFL record 355 consecutive passes without an interception. He has thrown the fewest interceptions (4) of his career, and had his second highest quarterback rating (111.0), a far cry from Sanchez’ 75.3 rating. It’s no coincidence that Brady has had a quarterback rating of 107 or higher during their 8 game win streak. Wes Welker is Mr. Clutch (86 receptions, 848 yards), and Deion Branch (61 receptions, 818 yards) had one of his best season’s ever in his return to the Patriots this year. 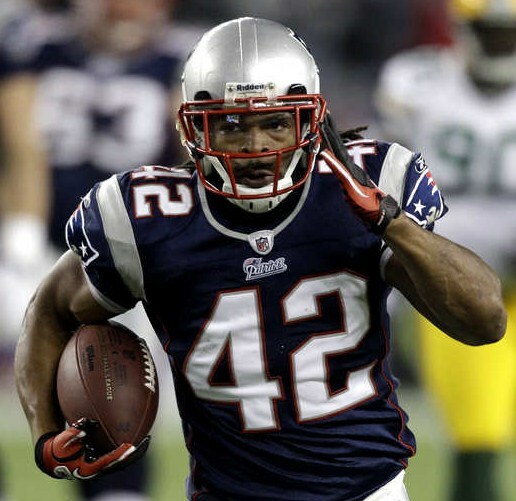 BenJarvus Green-Ellis (229 carries, 1,008 yards) and Danny Woodhead (97 carries, 547 yards) both have had breakout seasons, as the Patriots are probably the best team in the NFL in drafting diamonds in the rough. 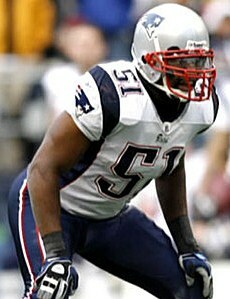 Jerod Mayo, ILB, has made an amazing 175 tackles this year, and has helped the Patriots to rank 11th in rushing yards allowed. Rookie Devin McCourty leads the team with 7 interceptions. The Patriots only weakness is that they are ranked 30th in passing yards allowed, but fortunately for them, passing is not what the Jets do best. The Patriots have won 28 consecutive regular season home games, with their last loss coming by way of the Jets in 2006. They are 8-1 at home in the post season with Tom Brady at the helm. In his last two games at the Patriots, Sanchez has thrown one touchdown and seven interceptions. He will have to play more like he did at home versus the Patriots earlier this year if they want to pull off the upset. The Patriots have forced 24 turnovers during their eight game win streak, and were +28 on the season, as they are very good at preventing turnovers. The Jets had a +9 turnover ratio, and will have to control the ball to control the game. The Jets were 11-1 when they scored over 20 points, and 0-4 when they scored under 20. Patriots coach Bill Belichick is not a man of many words, but he always has his team prepared for battle. Coach Rex Ryan always has plenty to say, but his team sometimes has trouble backing up the talk. Should be a great game later today! Hopefully the Jets can pull through! Well, the Jets played well, and beat the best team in the regular season. Now they go against the Steelers, who have the best defense, in an attempt to get to the Superbowl.